Have you ever noticed the speed of the growth of the bacteria and other microorganisms on your spoiled food? When you leave bread out for a longer time, discoloration on bread occurs that we call bread mold. That is actually some microorganism growing on them when kept at normal room temperature. And, they grow at an extremely alarming rate. This growth at a fast rate is defined as exponential growth. Exponential growth is the increase in number or size at a constantly growing rate. In exponential growth, a population’s per capita (per individual) growth rate stays the same regardless of population size, making the population grow faster and faster as it gets larger until resources become limited. Let us check the everyday life examples of Exponential growth rate. During the pathology test in the hospital, Pathologist follows the idea of exponential growth to grow the microorganism extracted from the patient’s body. Microbes grow at a fast rate when they are provided with unlimited resources and the environment. It makes the study of that organism easy and hence, easy to detect the disease. When we keep our cooked or uncooked food at room or warm temperature, they start getting spoiled after some time. Almost everyone has experienced that green discoloration that usually happens on our food and that too at an alarming rate. Microorganisms require a warm temperature to grow, and they show exponential growth. The human population is growing every day, and the number is increasing exponentially. As of February 2019, the total population of the world exceeds 7.71 billion people, and this number is continuing to grow each day. However, in some areas, growth is slowing or even declining. China being the most populous country and India is on the second. But it is estimated that India will lead the world by 2030 in population. Compound interest is the addition of interest to the principal of a loan or deposit, or in other words, interest on interest. Compound interest at a constant interest rate provides exponential growth of the capital. Pandemics are the outbreak of the disease throughout the world respectively. The spread of the disease, says influenza pandemic, is so fast that it is considered as the exponential growth of the disease. The most threatening epidemic ever happened in the world is the Ebola epidemic. It grew ats such an alarming rate that the scientist declares it as exponential growth.”This is a disease outbreak that is advancing in an exponential fashion,” said Dr. David Nabarro, who is heading the U.N.’s effort against Ebola. 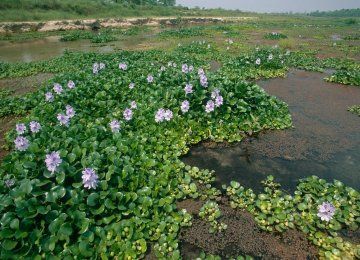 Most of us have heard about the world’s worst weed, Water Hyacinth, those were grown for a decoration purpose. But due to their exponential growth, they grow at a rapid rate on the water bodies, clogging up the rivers and blocking sunlight and oxygen to the animals and other plants. An invasive species is a species that is not native to a specific location, and that tends to spread to a degree believed to cause damage to the environment, human economy or human health. We all have noticed the speed of a forest Fire, that a whole forest turns into ashes in a couple of hours. It is found that the area damaged in a fire has an exponential relationship with the duration of burning. The most dreadful disease in the world is cancer. Millions of people have already died of cancer, and much more are still suffering from it. The worst note is that cancer cells divide exponentially. In today’s scenario, even the 7-year-old child is seen holding a smartphone in his/her hands. 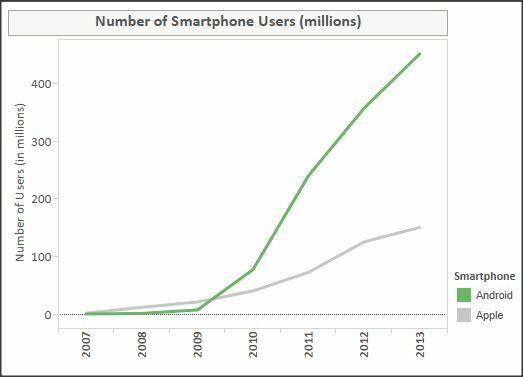 The sale of smartphones in so rapid that it is now considered an as exponential sale.